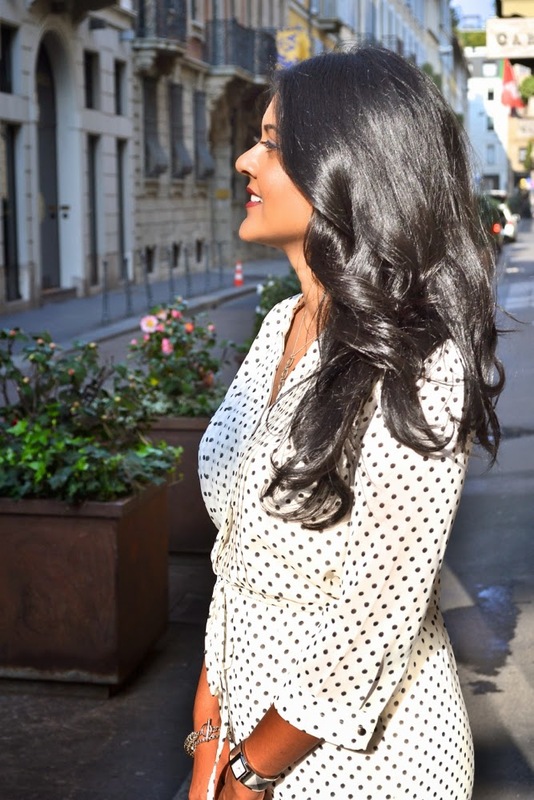 Last month, my husband and I found an amazing flight deal to Milan and we jumped right on it. It worked out perfectly since our one year anniversary was approaching. This was the first time we went to Europe together and I thoroughly enjoyed being there and experiencing Milan with him. 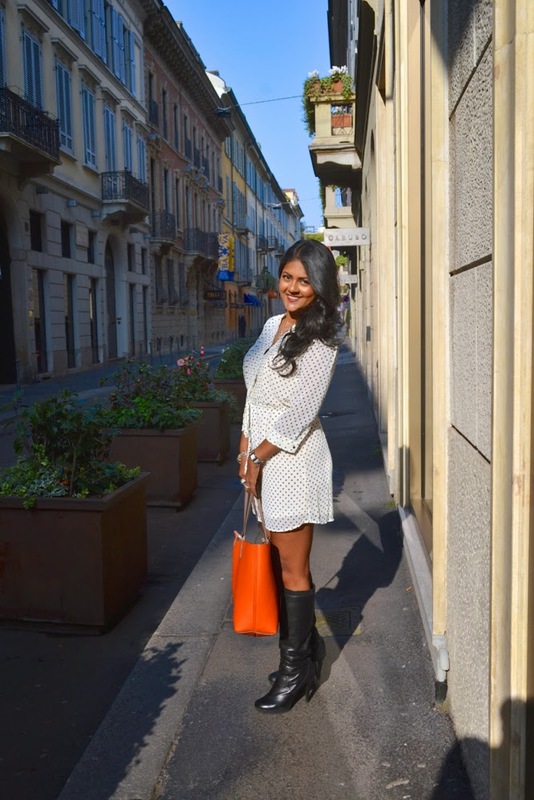 Milan is such a magical city, it is after all, the fashion capital of the world. Of course that is not the only reason I loved being there. 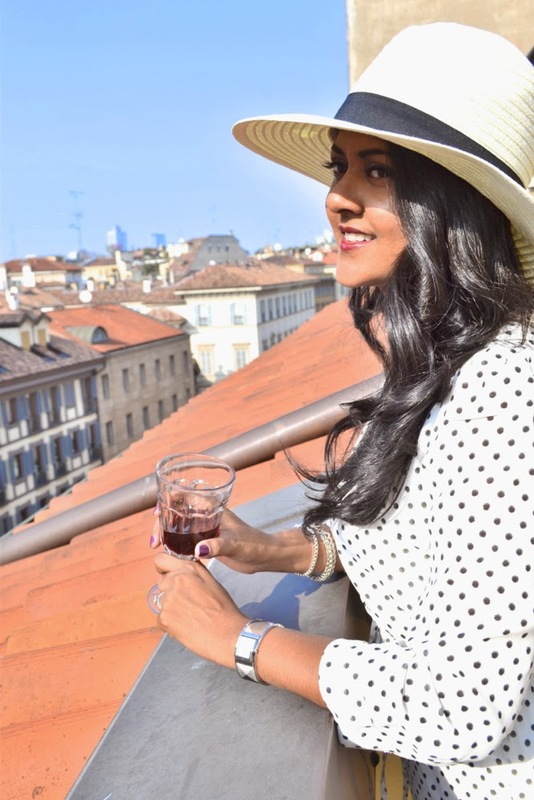 Italy is full of culture and I love going into the different cathedrals, exploring the various neighborhoods, having an "apertivo" at one of the many cocktail bars and eating all the amazing cuisine. Our trip was pretty short but we made sure to pack in as much as possible. We had the best weather on the day that we landed. It was sunny and a reasonably warm enough temperature for me to wear a dress. 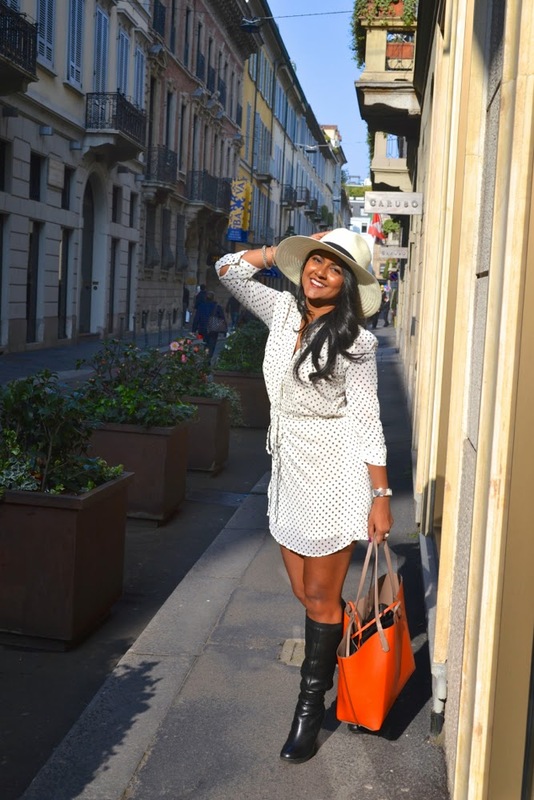 We stayed in an apartment very close to Via de Montenapoleone, the main shopping district of Milan. 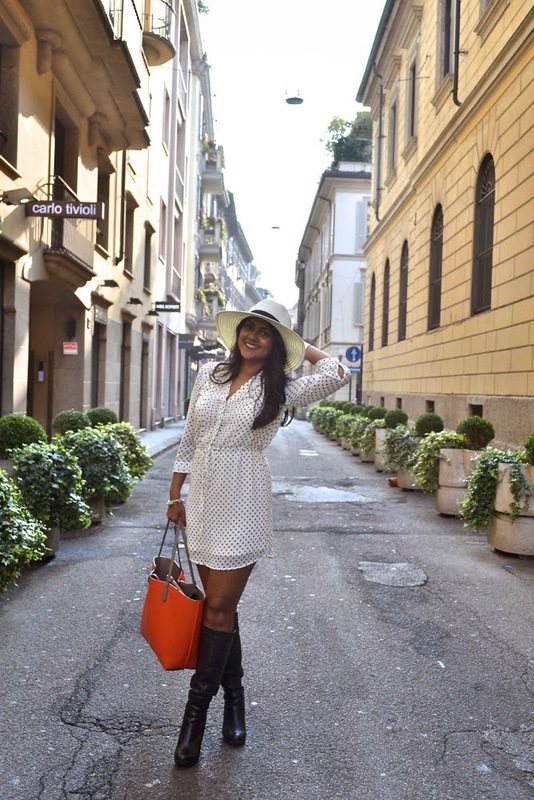 This street is the Rodeo Drive of Milan. The narrow streets are adorable and filled with local shoppers as well as those from all over the world making their way to Gucci or Prada or whichever high-end name they are venturing into that day. It is definitely a site to see. For our first day, we strolled through these streets and grabbed lunch in a cute restaurant set among the stores. I picked this H&M dress up before leaving town. ***Also, on a side note, because of the H&M Conscious campaign, they have bins in their stores for clothing donations and in NYC, they will give you a 15% coupon towards any item! *** This dress was comfortable enough to walk around and warm enough with the long sleeves to keep me warm when it got chilly. 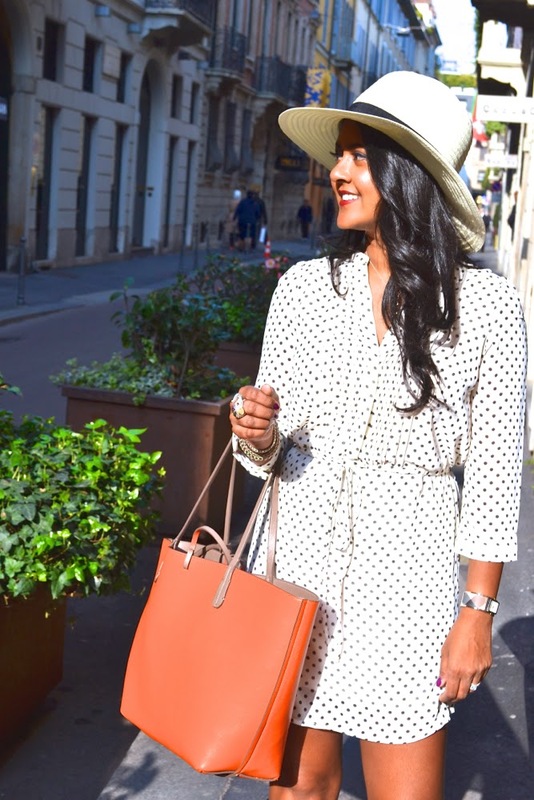 I paired it with knee high boots, a wide brimmed hat and my reversible tote from Zara! We ate at the quaint restaurant, Il Salumaio di Montenapoleone, where I had the best burrata appetizer ever! This was just the start of our vacation and more pics of Milan to come!